O Damn, That’s a Big Christmas Tree! The Trumps are going full Griswold for the holidays, ’cause they just got a Christmas tree even Chevy Chase might consider too big. Might. 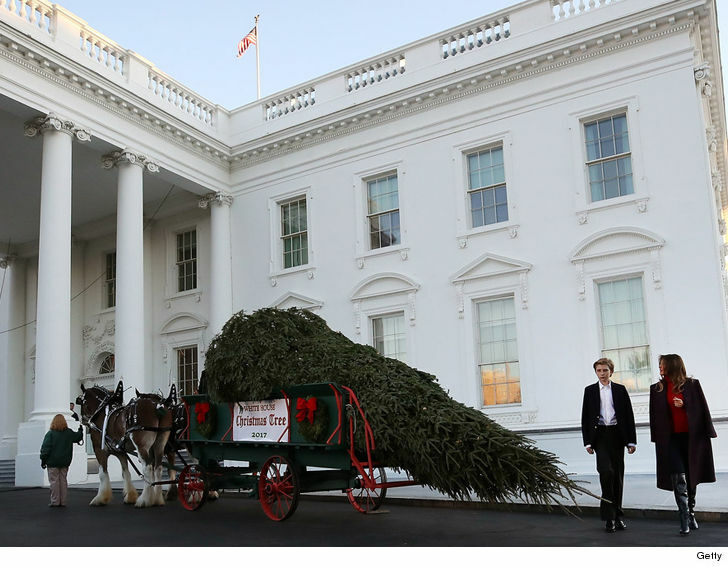 Melania and Barron Trump stood by Monday as the White House holiday tree was delivered by horse-drawn carriage. We’re told it comes in at a whopping 19.5 feet in length. The tree is a Wisconsin-grown Balsam fir provided by the Chapman family of Silent Night Evergreens. They won a national contest for the honor of this year. It’s tradition for the First Lady to decorate the tree based on a theme of her choosing … and Melania seems to be giving her first one some serious thought.